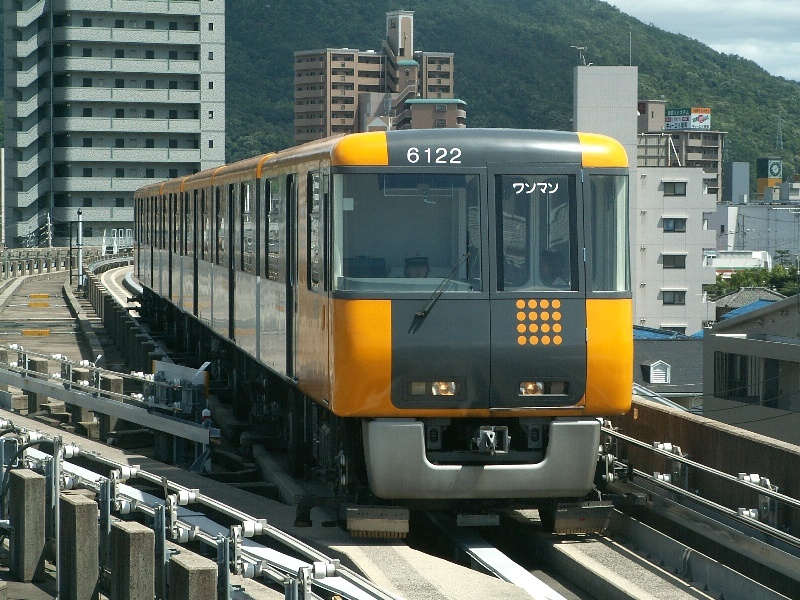 Elevated rapid transit (Astram line): 18.4 km. Municipal tramway: 23 Nov. 1912 - today. 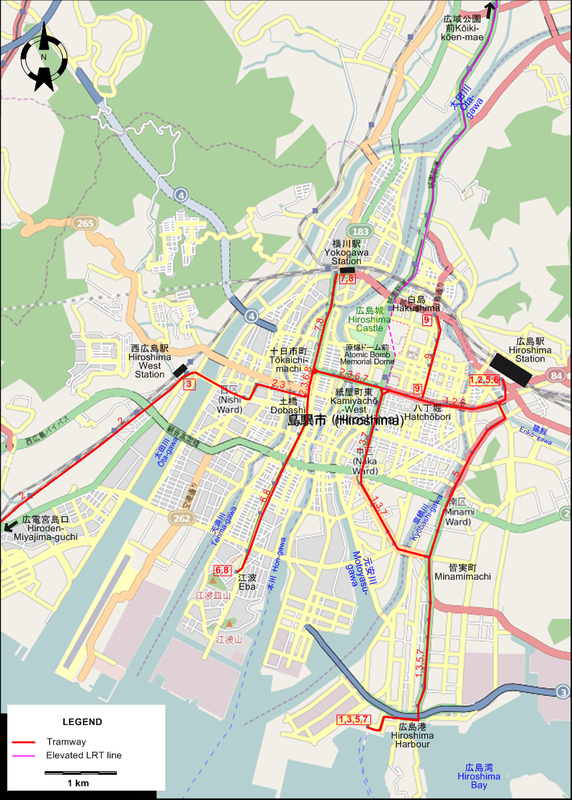 Interurban tramway (Miyajima line, later integrated into the municipal system): 22 Aug. 1922 - today. Elevated rapid transit (Astram line): 8 Aug. 1994 - today. Interurban tramway (later integrated into the municipal system): 1435 mm. Forty, R. and Higgins, J.W. 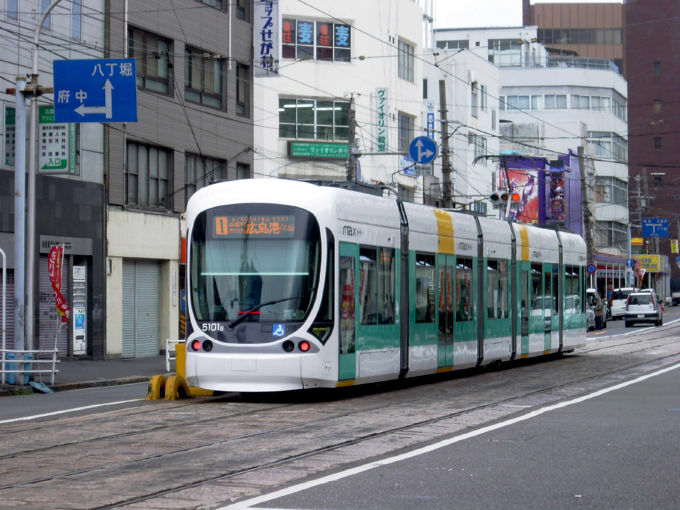 "Japan today (Part 4: Honshu's western outposts)", Modern Tramway and Light Rail Transit, May. 1977 (40:473), p.160-166. 原口隆行 (Haraguchi, T.) 日本の路面電車 I (Japan's Street Railways, Pt.I). Tokyo: JTB, 2000. 長船友則 (Osafune,T.) 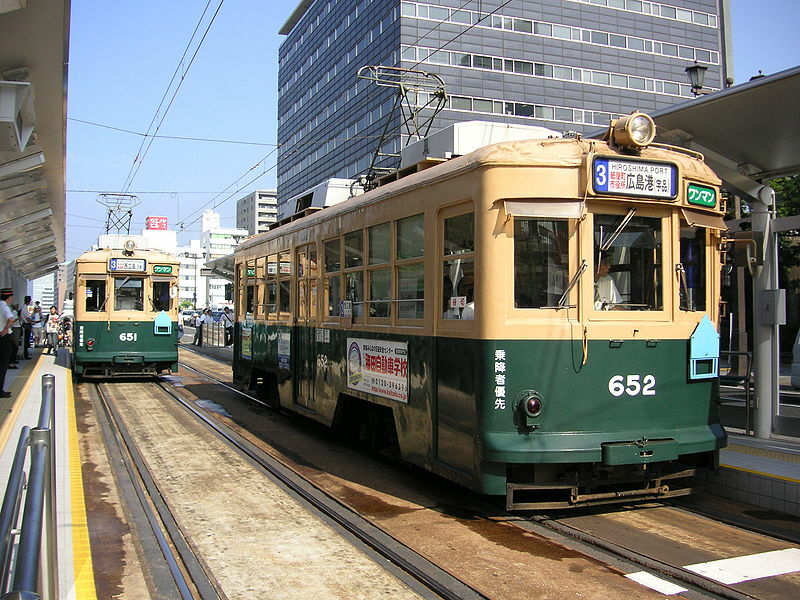 広電が走る街・今昔 (The city where the Hiroshima Electric Railway runs - Past and present). Tokyo: JTB, 2005. Suffolk, D. "Hatching phoenix eggs: Hiroshima leads the way in Japanese LRT development". In: Light Rail Review 3. London: Light Rail Transit Association, 2001 [p.65-66].